Price Armstrong is representing cotton farmers who have discovered that the Case IH cotton pickers they purchased don’t work as promised. Case IH is the world’s second largest manufacturer of agricultural equipment, with annual revenues of its foreign-owned parent company exceeding $28 billion. In 2006, Case introduced the first product to combine cotton picking and baling in one piece of equipment: the Case Module Express 625. Case purported to have created efficiencies and cost savings that did not previously exist by bringing the module-building aspect of cotton harvesting onboard into the picker. Case promised that the Module Express pickers would produce ginner-friendly modules while operating at unmatched speeds. In 2011, Case introduced a new model, the Module Express 635. The Module Express 635 was promised to create even greater efficiencies for cotton farming. Case represented that the Module Express 635 would pick cotton even faster, require less maintenance, and, crucially, possess the power to handle difficult conditions, such as wet or uneven fields. If you have had issues with the Case Module Express pickers, you may have a case. Contact the experienced attorneys at Price Armstrong today. 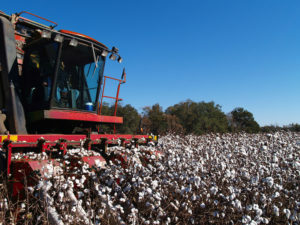 Price Armstrong is filing lawsuits for cotton farmers who have experienced problems with the Case Module Express pickers. Our clients report a host of problems with their Case pickers, including lack of engine power and hydraulic pressure, module-building issues, software failures, head and door issues, poor build quality, excess downtime and decreased efficiency, and even instances of pickers catching on fire. Farmers using Case Module Express pickers report that Case has stopped supplying replacement parts, even for parts that need routine replacement. Contrary to Case’s promises, cotton farmers have experienced significant, abnormal downtime and maintenance issues with the Module Express. Reportedly, farmers would often “upgrade” to the new Module Express 635 model only to find that the claimed improvements still did not provide a picking and baling machine that would work consistently as promised. As cotton farmers know, any picker is a crucial and expensive piece of equipment. They need it to work as promised when they need to harvest. Case Module Express pickers cost upwards of $500,000. To have to replace this kind of equipment is hugely costly for a cotton farmer. In bringing the Case Module Express to market in 2007, Case beat the only competition by nearly two years. John Deere also was in the process of developing a single piece of equipment that would harvest and bale cotton, the 7760, but released their model in 2009. Plaintiffs filing cases against Case over the defective Module Express allege that Case rushed their equipment to market, not ensuring that the design would work as promised, in an effort to beat John Deere and create a competitive advantage. And, indeed, even cotton farmers who did not previously “run Red” report being eager to try the “revolutionary” Case Module Express–not only for the purported cost savings, but also to foster competition with John Deere, which has long been the dominant player in the industry. Notably, the Deere combined picker and module builder uses a very different design, producing round modules from a heavier, more powerful piece of equipment. Farmers filing lawsuits about the Case Module Express tell us that the design or manufacturing defects they experienced in the picker were compounded by Case’s failure to stand behind their product. As alleged, Case stopped making parts for the Module Express, and farmers who bought a Module Express could not keep them operational, sometimes even resorting to fixes they designed themselves. Unsurprisingly, Case Module Express pickers allegedly became increasingly difficult to trade in or sell on the secondary market, and as word spread through the cotton farming industry of failing Module Express pickers, Case pickers depreciated far more quickly than other similar pieces of equipment. Along with cotton farmers who bought and ran Module Express equipment, some Case IH dealers have also alleged that they were harmed through Case’s conduct in marketing, manufacturing, and selling the Module Express. Cotton farmers often have long-standing, reliant relationships with their equipment dealers, which fosters brand loyalty. When Case sold Module Express pickers that are allegedly defective, some dealers also were affected. Price Armstrong is not pursuing cases against Case dealers, but would be happy to offer a free consultation to any that were affected. Price Armstrong is accepting clients who were affected by Case Module Express problems and defects. We represent clients in multiple states and are filing cases across the nation now, including class actions involving the Case Module Express. If you have been affected or believe that the Case Module Express you purchased did not work as promised, please contact us today for a free, confidential consultation by our experienced team of dedicated lawyers.